Are You Just Hoping for a Repeat? I just recently finished teaching an intensive weekend marketing course at NYU—all about building the brand experience. Toward the end of the class I do a section on “making good choices”. I believe that the secret to successful marketing lies with making good decisions on how to market the brand. It’s the marketer’s daily job to make choices about the brand and how it plays out in the marketplace. If those decisions are aligned with the brand, based on true consumer insights, and are consistently applied, then you’ve got a pretty good chance of being successful. The class also got on the topic of celebrity brands and their choices. As an exercise, sometimes it’s easier to look at celebrity brands and the decisions they make as a way of understanding the importance of making good, consistent choices. Look at Martha Stewart, Tiger Woods, or Britney Spears as shining examples. I was reminded of a comment that Oprah made about Michael Jackson when she was interviewing J. K. Rowling (“Harry Potter”), about how to maintain success. We talked about it as a class. 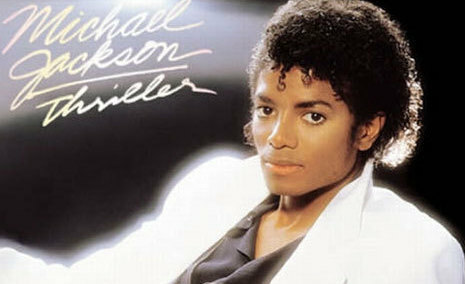 Oprah had read somewhere that what ultimately led to Michael’s demise was that he was always “Chasing Thriller.” Meaning that he had such incredible success, unmatched by anyone then or even now, that he could never live up to it again. He was always trying to recreate another “Thriller”. But it’s impossible to do that, to live up to that level of success and expectation. And that’s why Oprah started OWN. She too has had unprecedented success with “The Oprah Winfrey Show”. She realizes that she can’t possibly repeat that again, doesn’t want to repeat that again. So for her brand (and for herself), she wants to move on to do something different. Repeat success in a different manner, in a different way. A very bold way for sure, but a different way. So she created a network of shows all tied to her brand essence. But that’s also why we have yet to see The Oprah Winfrey show on OWN. She’s tackling the expression of her brand differently, at least for now. I found the discussion both with Oprah and with my class at NYU very fascinating. Those of us who manage brands (heck even managing our own personal brands) should take note. We make choices every day on the direction our brands go. It’s important to be successful in different ways, not just to chase the same old success day after day. It’s important for the brand to evolve, not just rest on prior successes hoping to repeat them.